It is always a good idea to sort your mail when you take it out of the mailbox. 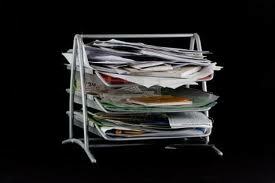 Throw the junk mail away first, but don’t forget to have a shred-only pile for all of those credit card offers…. 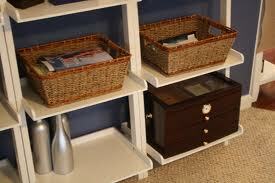 Have a place designated to put mail that needs your attention and/or additional action is required. 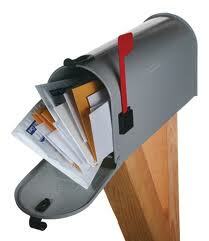 Please don’t allow your mail to just continue to accumulate. The piles will outrun you very quickly! This entry was posted in Personal Organizing and tagged junk mail, Life, Organizing, organizing tips, Personal Organizing. Bookmark the permalink. Don’t throw the junk mail away without opening the envelopes to see what’s inside. Over the years I have received more than a thousan dollars in ones, twos, and fives, usually to complete surveys, sign up for emails, try a 30-day free subscription, etc. I also have received calendars, key chains, pens and pencils, erasers, magnets, and on and on. I love junk mail! Great advice! I always suggest keeping a shredder nearby and shred unwanted mail immediately.